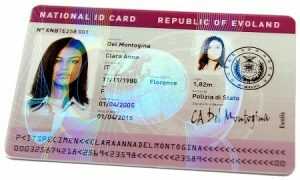 The process of card lamination is the application of a protective polyester film onto a card’s surface to protect it from wear and tear, to increase durability and for increased security as it helps fight forgery. 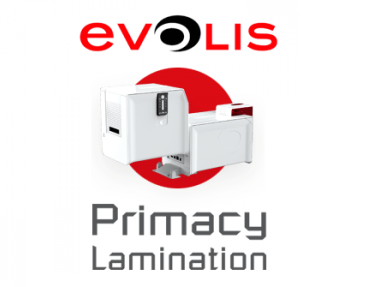 The new Primacy Lamination Station is an all-in-one, affordable system for encoding, printing and laminating your cards – with or without holograms. Your cards will have maximum durability and an increased level of security, hence reducing the amount of fraudulent actions. How Does Card Lamination Work? In general, card lamination is performed in two steps by the machine: first, it prints, and then applies the film. The varnish or film is applied at a very high temperature. This temperature is out of reach of a traditional print heads, and therefore, requires special equipment: a laminator. Laminators feature hot rollers that provide temperatures in the 140–190° C (280-375° F) range. With such temperatures, laminators actually ”stick” the lamination material onto the PVC card. • After your cards have been encoded and printed, Primacy Lamination then heat seals a film (varnish or patch of varying thickness) over the surface of the card. • Lamination adds durability to your cards and increases their life cycle by up to 10 years*. • Evolis has a wide range of patches and laminates, with or without holograms. For added security, our teams can develop entirely personalised laminates. • Primacy Lamination can handle different encoding modules: magnetic stripe, contact or contactless smart cards. These encoding options can be combined. • When you install your system, you connect the card lamination module to the printer in one easy step by infrared communication. Your system is up and running within minutes. • Printing ribbons and card lamination films are installed intuitively and are automatically recognised by the system. See it here in the following video, or click here and we can contact you to show you this card lamination station in action.